As Kirkby rock and roller Louis Berry releases his debut EP, Getintothis’ Adam Lowerson checks out the lead single 25 Reasons. 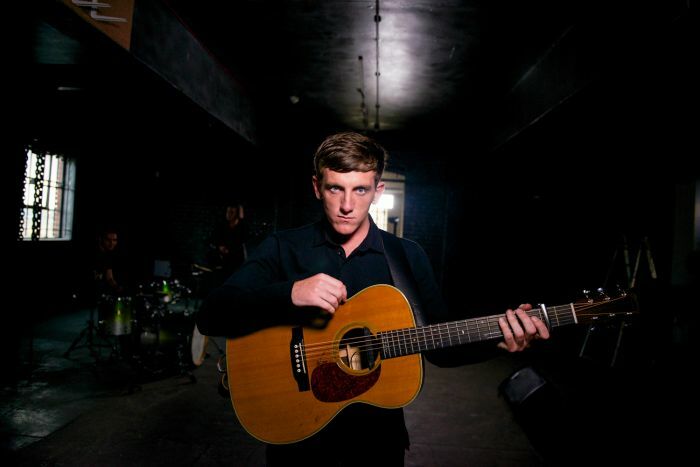 GIT Award 2015 One to Watch winner Louis Berry has this week released his debut EP, Rebel, on his own label Cuban Records, with new track 25 Reasons being released as the lead single. With performances at Live at Leeds and the Great Escape already in the bag, 2015 is set to be a busy year for the Liverpool songwriter with slots at Dot to Dot festival, Barn on the Farm and Liverpool International Music Festival in the pipeline over summer. Berry first grabbed the attention of the national music press and radio with his debut single .45, and after playing just two gigs he signed a contract at each – a publishing deal following an explosive BBC Introducing performance and recording terms after a show at the Arts Club. New track 25 Reasons picks up where .45 left off with ferocious rock and roll swagger. Driven by Berry’s fierce, growled vocals, the track channels the early rock and roll spirit of another famous Berry (we don’t think they’re related) with story-teller, troubadour lyrics akin to Bob Dylan or Johnny Cash. The song is described by Berry as “a sarcastic twist on love’s emotions, delivered in a raucous three­ minutes by a very lonely rebel with a very revolutionary mind.” It is a short, sharp burst of emotion and attitude, and yet again a great indicator of Berry’s potential, songwriting talent and authentic sound. His influences may lie in 1950s and 1960s rock and roll, but the Merseyside man is giving a fresh new feel to a much imitated genre.